Some of the biggest challenges faced by healthcare providers today, from rising costs to low patient satisfaction scores, come down to poor visibility of the longitudinal care plan. Care teams do their best for every patient, but struggle to coordinate activity along the patient journey. Lumeon has over ten years of experience working with leading healthcare names to transform care operations, by enabling ‘Real-Time Health System Orchestration’ (RTHO). The Lumeon CPM platform gives providers the ability to direct care operations across many care settings, teams, activities and stages, so the right thing happens at the right time for every patient. Orchestration combines the power of a care pathway with the resources and capabilities of the provider health system. This rapidly increases care team efficiency and fast-tracks patients to better outcomes. 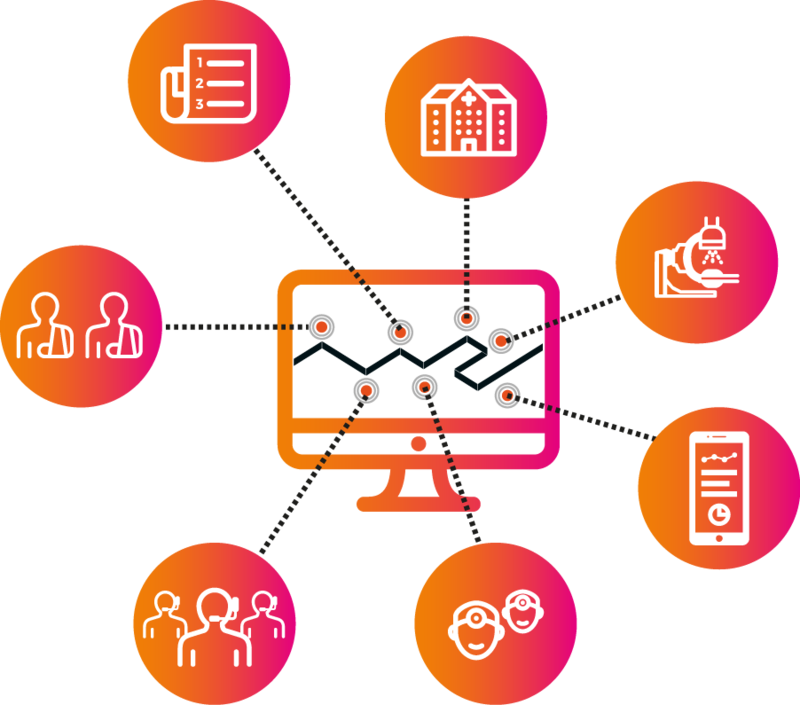 Care activities can be automated, virtualized, escalated for manual intervention, and integrated with the providers existing health IT landscape, including their EHR. Real-time health system orchestration reduces manual back and forth and the likelihood that care will go off course and suffer the resulting costs. It means providers can algorithmically adapt an entire sequence of activities for each patient, so they get the most appropriate care. Using RTHO, best practice becomes the default – not the exception. all the activities that should happen next. While your existing software, such as your EHR, may be great at allowing care professionals to document clinical information, it is not suited to coordinate a wider plan of care across diverse teams and settings – especially when part of this may occur outside of the four walls of the hospital. Lumeon’s platform bi-directionally integrates with many EHRs and other technologies providers already have in place, allowing them to become context-aware and enhancing them with real-time insight.